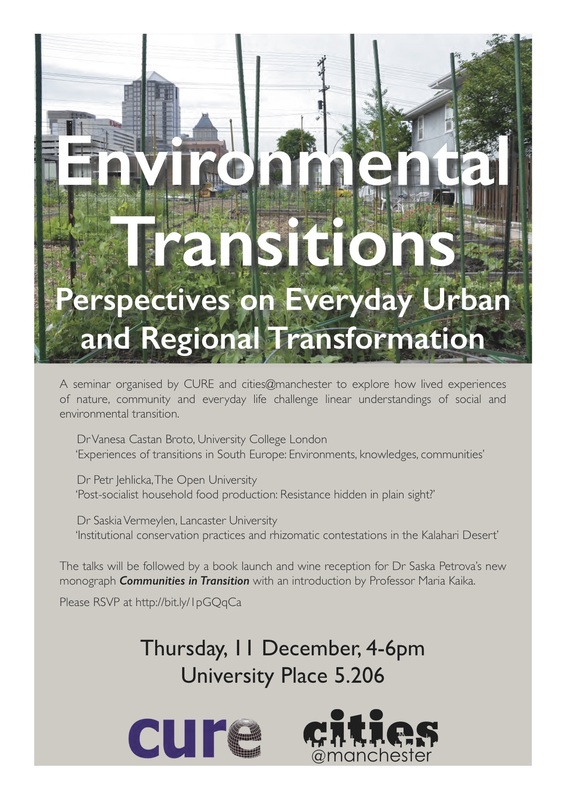 This afternoon seminar, organized by the Centre for Urban Energy and Resilience and cities@manchester at the University of Manchester seeks to explore how lived experiences of nature, community and everyday life challenge linear understandings of social and environmental transition. Dr Petr Jehlička, The Open University, Milton Keynes. Post-socialist household food production: Resistance hidden in plain sight? 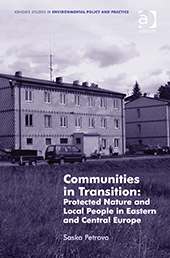 Communities living through the 1990s transition in South Europe have experienced wide transformations, not only because of the changes in political and economic systems but also because of a questioning of the relationship between people and their environment. In Tuzla, Bosnia and Herzegovina, post-industrialisation has produced large wastelands and abandoned brownfields, which constitute ‘pollution landscapes’ in the sense that they are not simply landscapes containing pollution, but rather, they are landscapes in which pollution is an active component producing a collective experience of nature and place. In other cases, such transitions have led to transformations in the discourses of environmental conservation and regeneration. In this talk I will take the opportunity to discuss the extent to which communities’ experiences of landscape transformations in South Europe influence the way they intervene in local processes of knowledge making and environmental governance, and how this in turns influences the formation of communities themselves. Vanesa Castan Broto is a Senior Lecturer at the Bartlett Development Planning Unit in UCL, where she teaches urban development planning and sustainability. She does research at the interface between political ecology and urban studies. She currently holds an ESRC Future Research Leaders Grant for a comparative urbanism study of energy landscapes in the Global South. Post-socialist household food production: Resistance hidden in plain sight? In keeping with the peripheral standing of East European rural spaces in transition studies, in the past twenty five years post-socialist home gardening has received little attention other than as a path-dependent economic strategy of passive and disadvantaged segments of society. The large scale of post-socialist household food production and distribution ‘discovered’ in the early 1990s was typically figured as a temporary residue of the socialist past set to disappear with the development of the market economy. The recent recognition of home gardening in other parts of the ‘global North’ as an important form of alternative food networks with a significant contribution to the food system and the scale of post-socialist household food production persistently high even among well-off middle classes call for alternative and more positive reconceptualization of East European home gardening. Drawing primarily on research into home gardening by non-farming households in Poland and Czechia (54 per cent of Polish and 43 per cent of Czech population grow some of their food) this presentation aims to demonstrate that post-socialist ruralities can generate insights that can ‘have a wider currency and relevance beyond the region’ (Kay et al. 2012). While acknowledging the importance of the economic dimension of East European informal food production and sharing in certain contexts and times, this presentation highlights the multifaceted character of this set of practices and proposes their conceptualisation as a contribution to food security, as a site of resistance and ‘quiet sustainability’. Scaled across all developed societies, and supported by some appropriate parallel policies East European ruralities show how home gardening can make a significant contribution to food security, public health and social cohesion. These findings, and the theoretical arguments derived from them, are of particular significance in the context of rapid processes of rural change in emerging economies. Petr Jehlička is Senior Lecturer in Environmental Geography at The Open University. He has co-produced and taught a range of distance education undergraduate and post-graduate environmental courses including Earth in Crisis: Environmental Policy in an International Context and Environment: Sharing a Dynamic Planet. 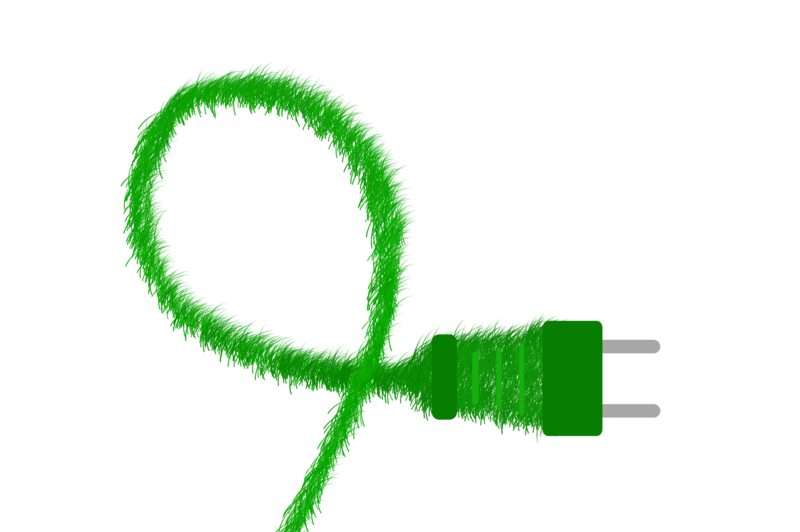 His research initially focused on the history and development of distinct forms of environmental movement and green parties in post-socialist Europe and at Europeanisation of environmental governance in new EU member states. He is currently working, with Joe Smith (The Open University), on a project that looks at household food production and related informal economic practices in post-socialist Central Europe. To stand a chance of reclaiming their pre-colonial rights, indigenous peoples often have to deploy the tools and logic of the colonial state. Despite documentation of indigenous peoples’ territoriality, the image of rootlessness has historically been used to justify widespread dispossession. Ironically, using the example of the San in Namibia, the only way now for the San to get access to land and natural resources is to claim roots to a bounded space. Conservancies are used as spatio-legal tools and mechanisms that discipline the movement and relational pathways that have sustained the San’s survival in the Kalahari for hundreds of years. In this paper, I reflect upon the creation of a non-place where the encounter with the Other is guided by Derrida’s concept of unconditional hospitality and a Levinasian ethics of alterity. Both theories emphasise the need for a placelesness, a non-place of dwelling; a rhizomatic space that can still be encountered in the Kalahari through the praxis of xharo. Saskia Vermeylen is a Senior Lecturer at the Lancaster Environment Centre. Her research interest is in the area of property theory and justice. She is preparing a manuscript wherein she explores how property has become a symbol of power through spatial containment and control over things and people. Her empirical work with the San peoples in Southern Africa has inspired her theoretical wanderings and has found in the work of Lévinas and Derrida inspiration to reform the concept of ‘property’ so it can become a justice bearing institution.